They say change is the only constant in this world. And with the advent of internet technology, the pace of that change is greatly increased. You may spend years successfully building a brand online but shifting winds often warrant having to start all over again. For years Carla Birnberg built her brand around fitness. But recently, with the release of her book, What You Can, When You Can, she decided it was time for some rebranding. 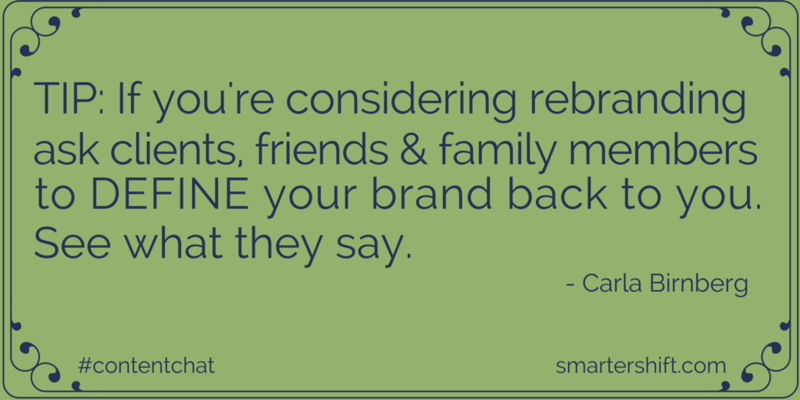 On this week’s #contentchat, Lucy Rendler-Kaplan asks Carla a few questions about her experience with rebranding. Our community of savvy content marketers shared their tips, as well.